[front] Transportation on Oswego Streets in 1893. Mrs. Marks and carriage. Transcription [front] Transportation on Oswego Streets in 1893. 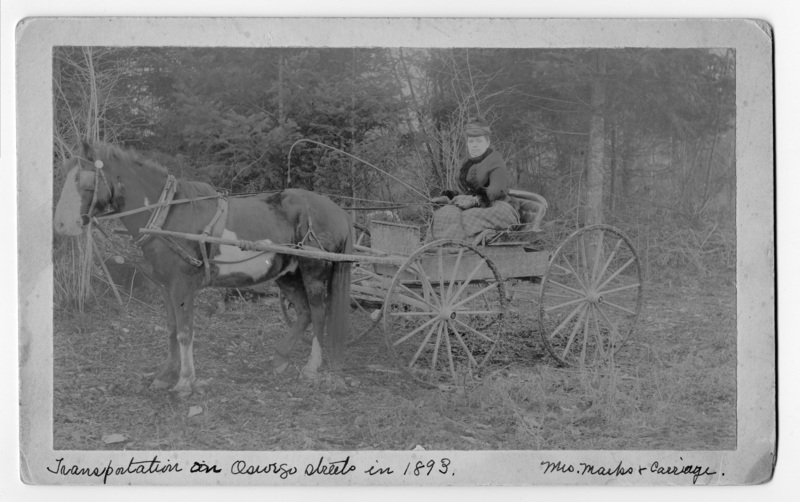 Mrs. Marks and carriage.